I cannot believe that this is the first ramp recipe I am posting this season, since ramps have been on my plate at almost every single meal I've had at home over the past few weeks. Breakfast: side of crispy ramps, lunch: raw ramps in my salad, dinner: ramps any way I can think of. Ramps, all day every day. I'm hoping you have not been overwhelmed by onslaught of ramp recipes this year .... if you're anything like me, you'll never be sick of ramps. But this recipe is not just about the ramps. 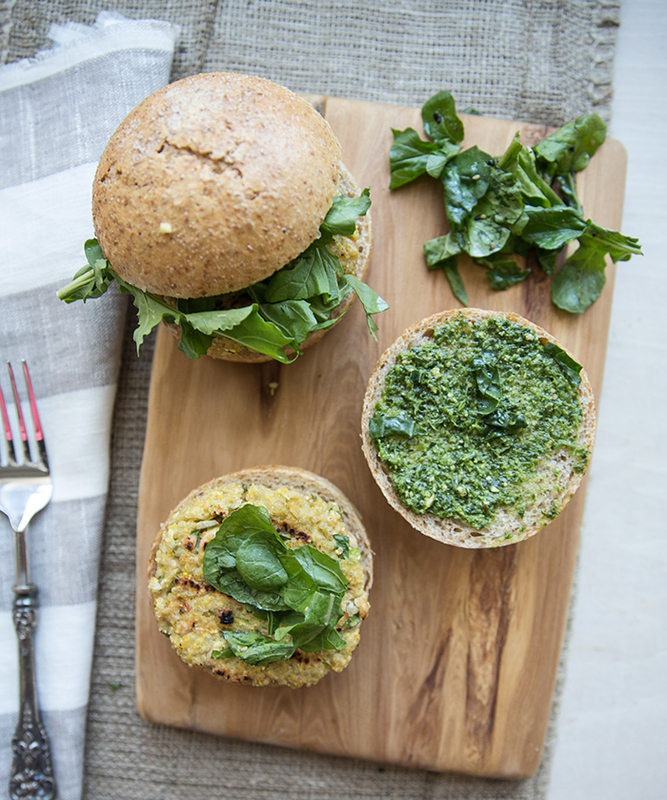 They're sharing the spotlight with this quinoa burger. 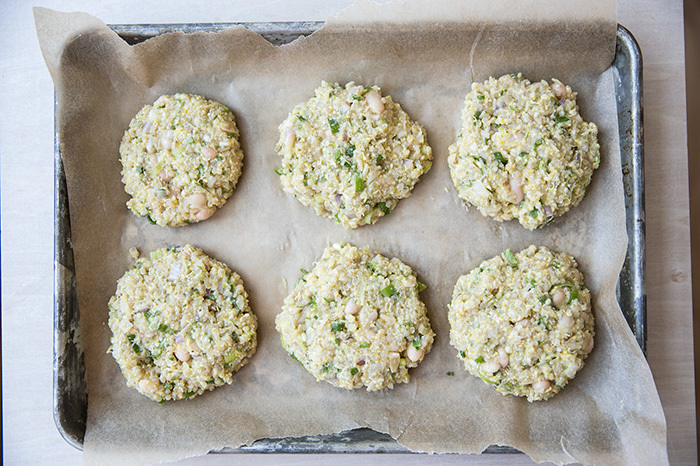 If you've been following along here for a while, you know that I have done a few variations of a quinoa burger, shifting ingredients and preparations around each time. This might be my favorite one to date. The very first recipe I posted for a quinoa burger went internet famous on me. And by internet famous, I mean it has made it's way around Tumblr (not as exciting as being YouTube internet famous). To be honest, I don't even think it was the burger that was getting all of the love, I think it was the avocado spread. Because let's face it, when it comes to a veggie-type burger, it is just as much about the sauce as it is the patty. And with that, the conversation gets turned back to ramps. I've tried some pretty interesting and awesome ramp preparations this year. There is so much you can do with them. They're great raw, sauteed, pickled, or incorporated into a sauce, like this recipe here. Last night I watched my father-in-law chop a few up and mix them into some homemade guacamole (I'm pretty sure he thought it was green onion). It was so good. Ramps are a little more pungent and exciting than green onion, but the two can be interchanged in almost any recipe. So if you cannot find ramps where you are, or when their short season is over, then go ahead and sub green onion. Okay, back to the burgers. These burgers are super versatile. You can switch up, increase, or leave out pretty much any ingredient listed, including the egg, since I know some of you would prefer a vegan version. In the past, my quinoa burgers were made without egg, however the egg really helps to bind. If you prefer not to use the egg, by all means leave it out. Just be aware that they will be a little more delicate (they fall apart easier). You can go crazy with the toppings. For mine, I just added some arugula and some thinly sliced red onion but you can also add avocado, and any other veggie you can think of. If you want a gluten or bread-free option you can leave out the bun and serve it over a salad or in a lettuce wrap. The only non-negotiable part is the ramp pesto. 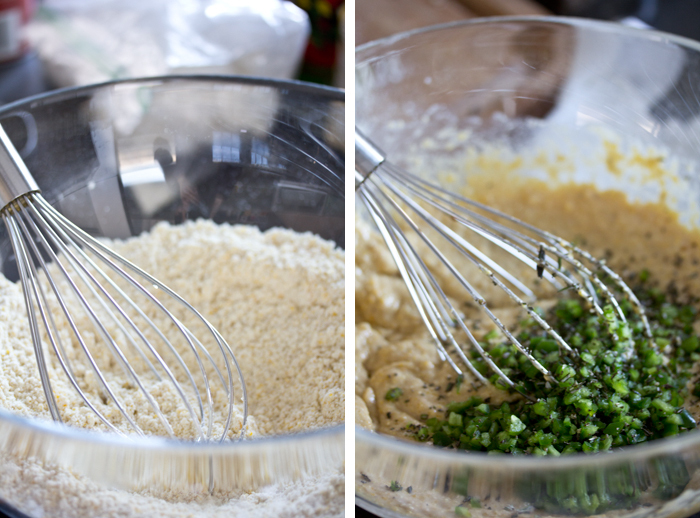 You cannot leave out the ramp pesto, it really is the best part. I cannot leave you with a recipe for chili, and not give you some cornbread to go with it. A piece of crusty cornbread, a warm bowl of chili, a crisp kale salad, and a really good magazine .... the perfect way to spend a chilly saturday afternoon. There is also no better way to feed a large group of hungry friends on football sunday. A quick batch of cornbread and big pot of chili, and you’re happily feasting. 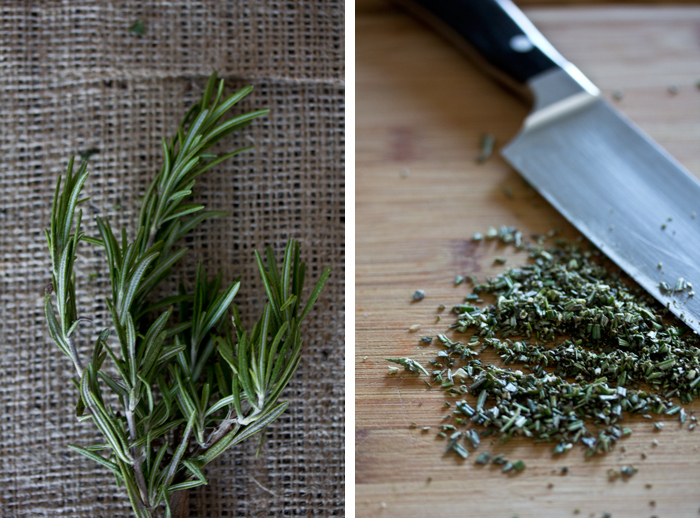 bonus – super yummy things to flavor it like chilies and herbs. double bonus – vegan or gluten-free (without knowing the difference). So if I am going to post a recipe for cornbread, you know it has to pass this test. In case you’re wondering, this cornbread scored 120% (extra 10% for the chilies and rosemary + 10 more % for being gluten-free). When I started working on this, the first and only blog I consulted was gluten-free girl. Shauna sure does know her stuff. 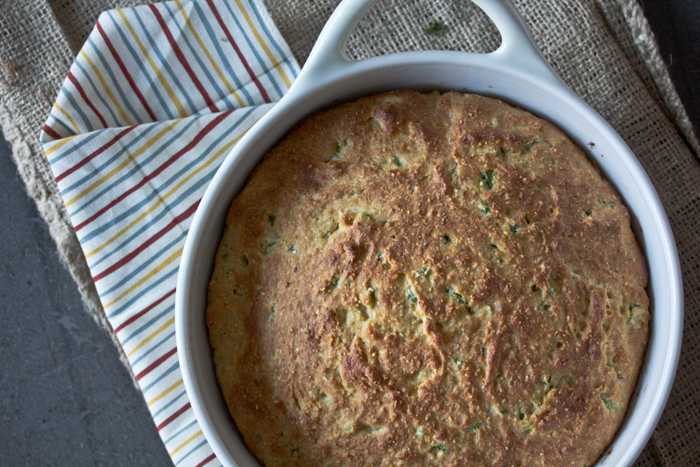 Her recipe for gluten-free cornbread is flawless and absolutely delicious. I did make just a few tweaks. I know that not everyone is as ambitious as she is to make their own GF flour (ahem, me) but she does include an awesome video how to do it if you are interested. I also include a milk-free option because even though whole milk does do a wonderful job, it is not an ingredient I typically use. Lastly, I used maple syrup as a sweetener which is not only better for you than white sugar, it compliments this recipe so well. And of course I threw in some extra yummy things like rosemary and serrano chilies. Killer cornbread is born.